At the simplest level, a hard disk is not that different from a cassette tape. 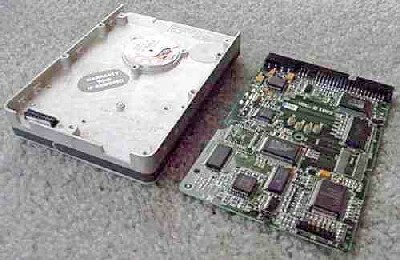 Both hard disks and cassette tapes use the same magnetic recording techniques. 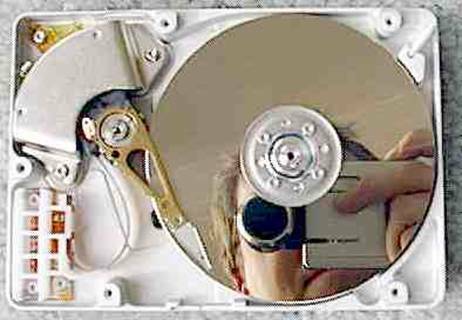 Hard disks and cassette tapes also share the major benefits of magnetic storage -- the magnetic medium can be easily erased and rewritten, and it will "remember" the magnetic flux patterns stored onto the medium for many years. 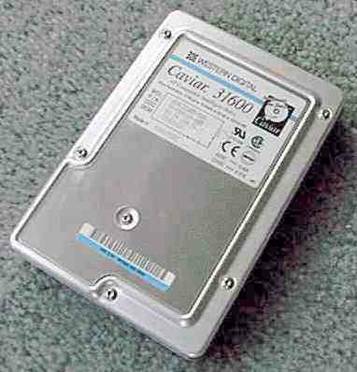 A typical desktop machine will have a hard disk with a capacity of between 10 and 40 gigabytes. 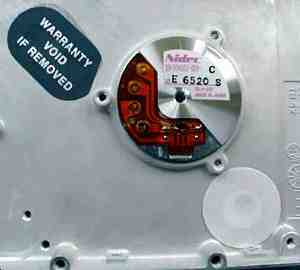 Data is stored onto the disk in the form of files. A file is simply a string of bytes. When a program running on the computer requests a file, the hard disk retrieves its bytes and sends them to the CPU one at a time. · The platters - These typically spin at 3,600 or 7,200 rpm when the drive is operating. These platters are manufactured to amazing tolerances and are mirror-smooth (as you can see in this interesting self-portrait of the author... no easy way to avoid that!). · The arm - This holds the read/write heads and is controlled by the mechanism in the upper-left corner. The arm is able to move the heads from the hub to the edge of the drive. The arm and its movement mechanism are extremely light and fast. 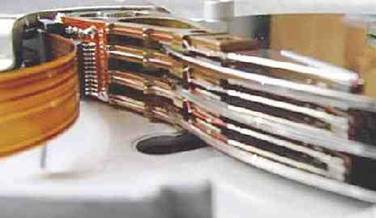 The arm on a typical hard-disk drive can move from hub to edge and back up to 50 times per second -- it is an amazing thing to watch! 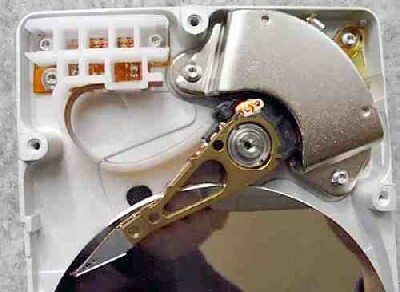 The mechanism that moves the arms on a hard disk has to be incredibly fast and precise. It can be constructed using a high-speed linear motor. Many drives use a "voice coil" approach -- the same technique used to move the cone of a speaker on your stereo is used to move the arm. This text was copied from how stuff works webpage.